Berneatta “Nita” B. Schmid, age 90, passed away Monday, July 16, 2018, at the Sleepy Eye Care Center. Funeral Service will be at 11 a.m. Monday, July 23, 2018, at the St. Paul’s Evangelical Lutheran Church in New Ulm. Pastor Timothy Smith will officiate, burial will follow in the Soldier’s Rest section of the New Ulm City Cemetery. Visitation will be from 4-7 p.m. on Sunday, July 22, 2018, at the Minnesota Valley Funeral Home – NORTH CHAPEL. Visitation will continue from 10-11 a.m. Monday at the church. To leave an online condolence for the family, or to sign the guestbook, please visit: www.mvfh.org. Nita is survived by her daughters, Rita (Ron) Hacker of Sterling, Virginia, Jackie (Tom) Roesch of Courtland; sons, Michael (Ellen) Mueller of St. Paul, Rod (Ginny) Mueller of New Ulm, Dan Mueller of Burnsville, Corey (Julie) Schmid of Sauk Rapids, Charles (Stephanie) Schmid of Mankato; 17 grandchildren; 16 great-grandchildren; sisters-in-law, Perp Weber of Winthrop, Viola Weber of Jeffers; special niece, Darlene Krause of Jeffers; special family friend, Warren Bode; and many nieces and nephews. She was preceded in death by her husband, Eugene “Gene” Schmid; her parents; sisters, Elsie Krause, Malinda Wendland, Leona Wendland, Evelyn Hellickson; brothers, Alfred, Lawrence, Edwin, Raymond, Lester, Orville, and Marvin Weber. Berneatta “Nita” B. Weber was born May 6, 1928, to Paul and Bertha (Beier) Weber in Germantown Township. She graduated from Sanborn High School and began working as a waitress. Nita was united in marriage to Gene Schmid on August 7, 1965, where they spent nearly 39 years together. Along with raising her children, Nita started her career as a waitress. After working at several different restaurants, she went to work at the MLC bakery for 8 years. She then went on to manage the Treasure Haus for 11 years, where she retired. 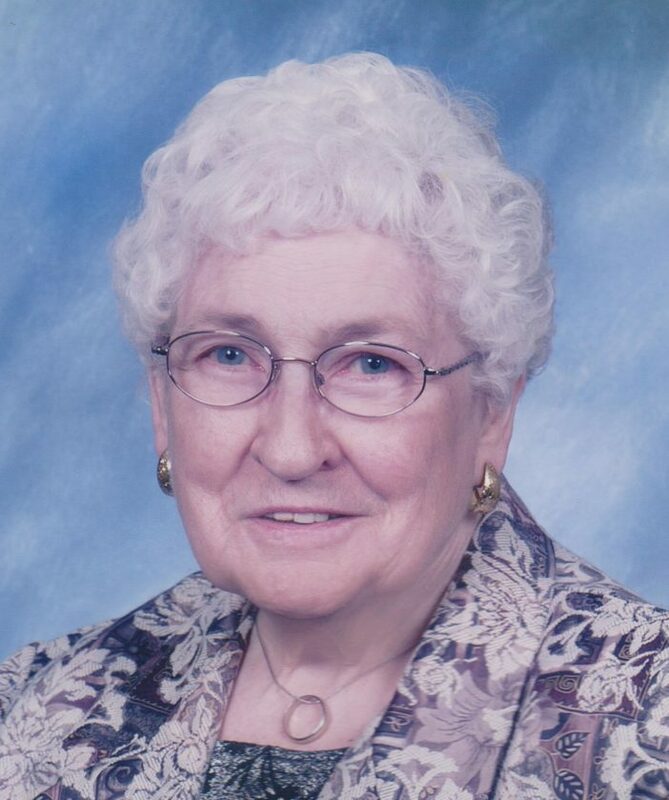 Nita was an avid member at St. Paul’s Lutheran Church, the Ladies Aide, and Oak Hills Auxiliary. In her free time, Nita truly treasured spending time with her family, grandchildren, great-grandchildren and her volunteer work at Treasure Haus. She will be missed by all who knew her, blessed be her memory. In lieu of flowers, memorials are preferred to St. Paul’s Lutheran School Improvement Fund.